My fantasy day would start at a yarn producer, where we would be given a guided tour of all the processes - maybe somewhere like this, with the possibility to try out some of the yarns, maybe some free samples - well a girl can dream, this is a fantasy. 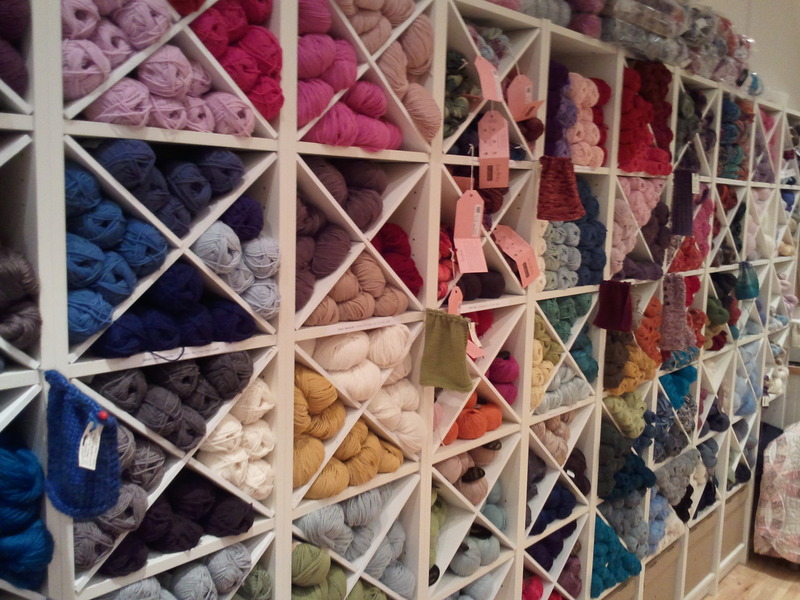 A little retail therapy would be next on the agenda, a trip to a really good yarn shop or somewhere new to me. I would have no restraints on my purse, so the purchases would be endless. Sounds like a fantasy day for me too. Can I join you? Save a spot for me - I'd love to tag along. Sounds like the perfect day to me! Mmmm, is that your living-room? Such a gorgeous space to knit in! Wow! It would be a really perfect craft day! I so like your day!